The StopTech Sport Brake Kit's braking performance packs a punch without knocking out your wallet. The StopTech Stage 4 Rotors-Pads & Lines Brake Kit is one of the simplest ways to greatly increase braking performance without having to upgrade to a larger caliper. 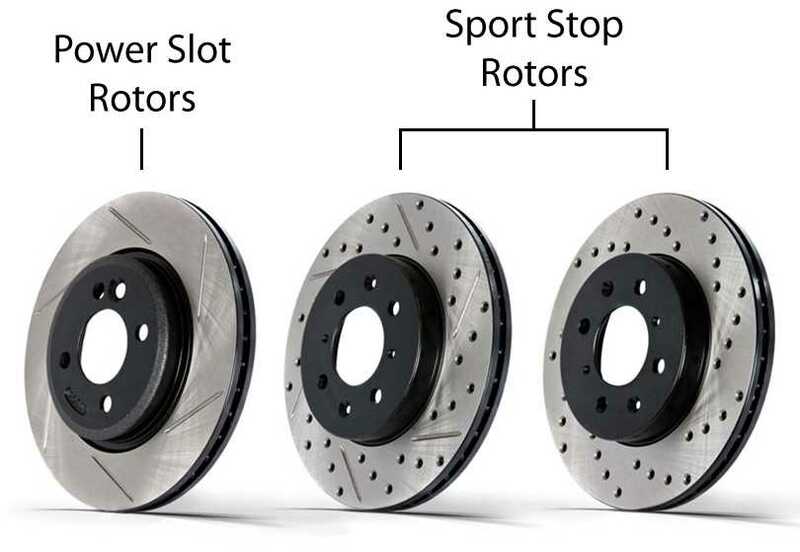 The StopTech Stage 4 Rotors-Pads & Lines Brake Kit composes of Slotted or Drilled/Slotted Brake Rotors that help keep your brake system cooler and also keeps dust and debris from building up on your pads. 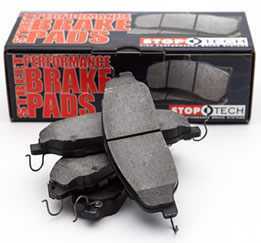 StopTech also includes a pair of performance pads like the StopTech 309 version Street Performance Pads or Centric 306 version Fleet Performance Pads. (Depending on Application) This helps increase braking power and the low dust formula is rotor friendly and helps keep your wheels cleaner longer. 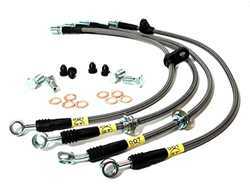 Rounding out the Stoptech Sport Brake Kit is nothing other than a pair of StopTech Stainless Steel Brake Lines which results in quicker pedal response and a firmer brake pedal. A certified mechanic is always recommended to perform the install and initial break in steps of any brake upgrade. Installation is slightly more technical since hardware/lines, rotors, and pads will be replaced. We also recommend picking up 3 bottles of StopTech Brake Fluid to flush and replace the old fluid. If you have any questions or concerns about the StopTech Stage 4 Rotors-Pads & Lines Brake Kit, give the brake experts a call.